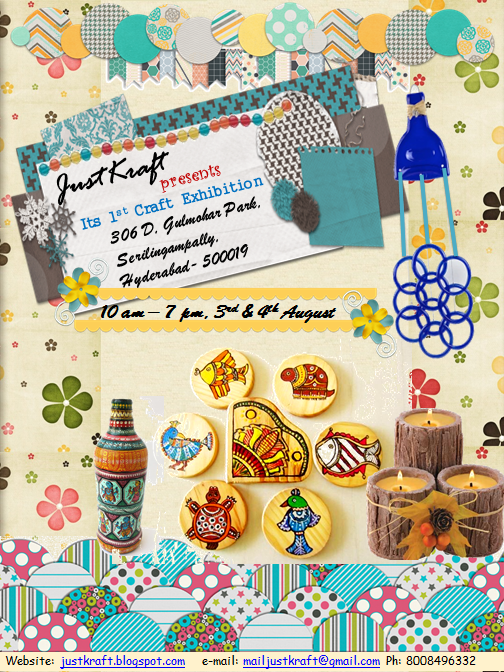 I am all excited as JustKraft is hosting its maiden exhibition. All creativity lovers are invited to drop in and share their valuable thoughts. Your suggestions would help JustKraft reach it's desired height. JustKraft will need your blessings and support. I hope to see you all. Will keep you posted on new updates on Exhibition. Good luck on the exhibition. Your products looks wonderful.